Lay out the HoofGrid or VersiGrid before you snap it together, for ease of installation. 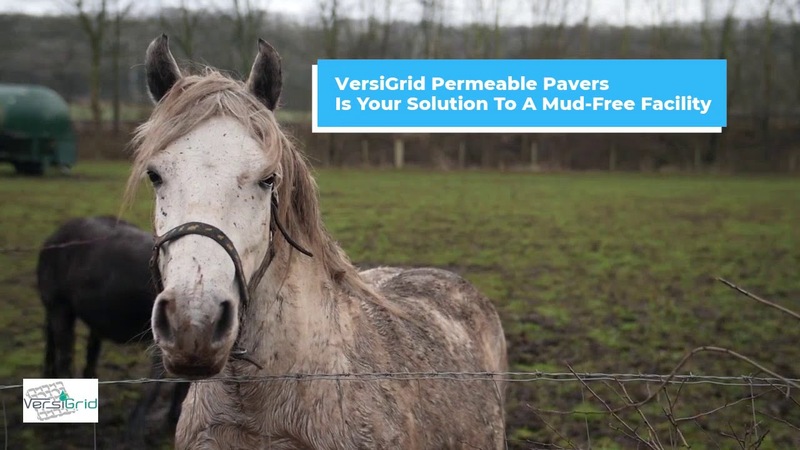 The Strongest Sustainable Mud Management “No More Mud Ever!” Control Grid System Available. Add gravel to fill the grids (being careful not to dig in with the tractor). Then add sand, and you are done.